One of my favourite British traditions. You really cannot go wrong with this classic cake. 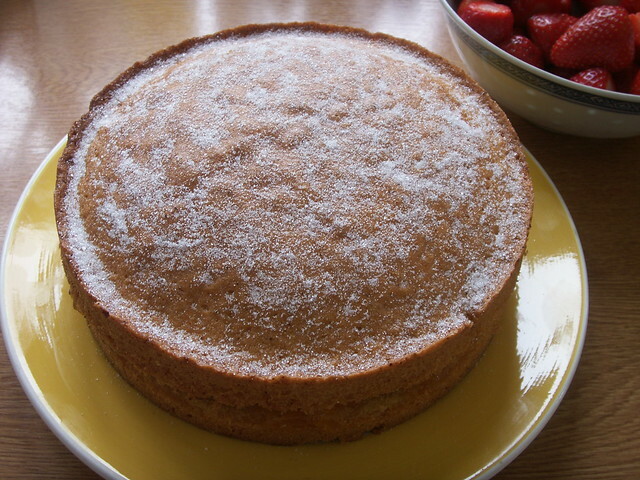 Its a lovely, moist sponge cake, that has jam sandwiched in the middle. You can use almost any kind of jam, and flavour the cake any way you want. 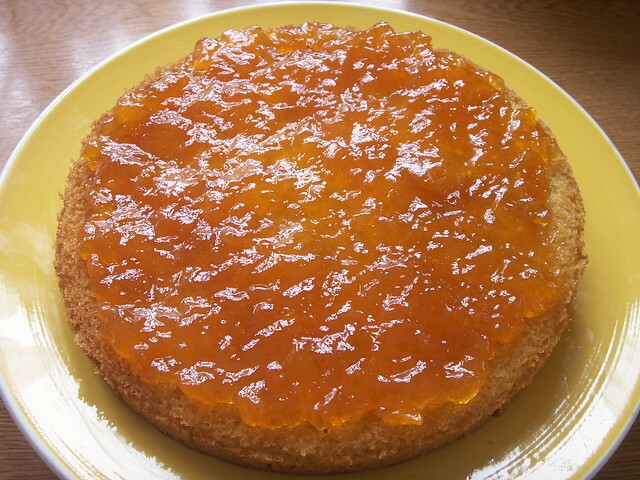 It tastes amazing with a hot cuppa, and little sandwiches... here I am coming over all Brit :-) With this recipe, I have used orange zest to give the sponge a hint of citrus and used apricot jam which adds a lovely tang to the super sweet cake. Preheat the oven to 175 degrees celsius. Grease and prepare two round loose bottomed cake tins. I use the standard ones I got from HomeBargains, and they've served me just as well as my fancy ones. In a large bowl, sift in the flour and baking powder. Mix in the butter, sugar, eggs and orange zest, and beat well for about 3 minutes with an electric beater. Turn out the prepared cake mix equally into the 2 tins, smoothing out the surface. Pop into the preheated oven, and bake for between 20 - 30 minutes, until a skewer inserted into the middle of the cake comes out clean. Take out the cakes, and leave to cool fully... otherwise the jam will melt. Take one of the cakes and turn it upside down. Gently brush it with some apricot jam, then slather on more jam, as much as you want really. I use about half a Bonne Maman jar.